Basic scout skills: These include such skills as camping, cooking, first aid, physical fitness, and swimming. These basic scoutcraft skills are the ones a scout must master in his progression from Scout through First Class ranks. Merit badge program: There are over one hundred widely diverse merit badges offered by the boy scout program. In his advancement from First Class through Eagle rank, a scout must complete 21 of these badges; of these, twelve are specified by the Boy Scout program, leaving nine others which the scout can choose from among the hundred-plus that are available. Personal growth/character development: Throughout his scouting experience (and the rest of his life, we hope), a scout is expected to live in accordance with the Scout Oath and Scout Law. He and his scoutmaster periodically review the scout’s “scout spirit”; as one of the last steps before completing any rank, a scout must have a “scoutmaster’s conference” during which the scoutmaster reviews the scout’s compliance with the requirements of the Scout Oath and Scout Law. Adult scouters provide the role models for the scouts, by exemplifying the Scout Oath and Scout Law in their personal lives. At least two of these adult scouters, including at least one member of the scoutmaster corps, are present at all scout functions; they are available as leaders, teachers, and support/resource personnel for the older scout instructors. Merit badge counselors are adults in the community and surrounding area who have volunteered to share their expertise in a particular subject with interested scouts. Merit badge counselors are as carefully chosen and screened as is any other adult scouter (see Handbook section “Organization”). Note: All troop 29 merit badge counselors must be approved by the Freedom Trail advancement chairman; also, BSA regulations specify that no individual may be a counselor for more than six merit badges. Teaching forums: Whenever a boy and an adult are together, be it at home, in school or church, or in a meeting such as a scout troop meeting, teaching/learning takes place. In this sense, any time there is a scout function, the scouts are learning from other scouts and from the two or more scouters present. More formal teaching/learning forums include a merit badge counselor’s home or office (with, of course, another adult present); a troop meeting to which a merit badge counselor is invited by the patrol leader’s council (normally, to teach an eagle-required merit badge); summer camp, which provides an opportunity for younger scouts to complete most of their scoutcraft skills, and older boys to work on outdoor oriented merit badges such as ornithology and mammal study; any troop campout. Scout’s responsibility: The primary responsibility for his advancement rests with the individual scout. 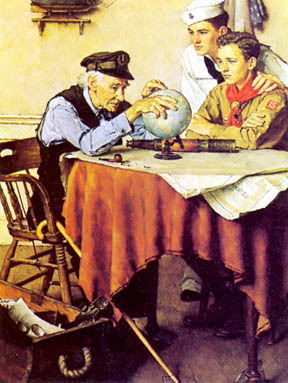 The troop committee includes an advancement chairman who will counsel scouts who are not advancing at a reasonable pace; however, it is up to the individual scout to seek out instruction in scoutcraft skills from older scouts (or scouters, if necessary), and to contact merit badge counselors. Any scouter will gladly help any scout who asks for help; however, the onus is on the scout, not the scouter. Encouragement: Boys take their cues from the adults who are close to them. If the parent is interested in the scout’s progress, in the scout’s activities, and in the troop generally, and lets the scout know this by question and encouragement, the scout will tend to give a higher priority to scouting than to some of the other demands on his time. Involvement: If a parent feels that scouting is sufficiently important to lay claim to part of his time, the scout will give increased importance and prominence to scouting in his active schedule. This involvement may be no more than attending courts of honor and providing transportation to and from campouts and other scout events; it may involve active work on the troop committee; it may involve helping at summer camp or on the high adventure trips; it may involve becoming a member of the scoutmaster’s corps. 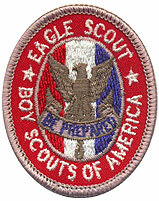 It is a matter of record not only nationally, but more importantly here in troop 29, that almost every scout who has achieved eagle rank has had a parent actively involved with the troop (unfortunately, the reverse is	not always true: not every parent who is involved with the troop ends up with an eagle scout son). Merit Badge Counselors are always needed as the merit badges are a key pillar of the advance process in scouting and essential to the program as a whole. All adults are welcome to sign up as MBC's, whether you are a uniformed leader, a committee member, or a parent. In fact you can just be an adult interested in helping boys! You have some interest, skill or vocation in one of the merit badges--of which there are many. You can find a list in the resources below. You are certain to qualify for more than one! Submit an application to be a MBC to BSA--2 short forms are required. Follow a few BSA requirements for MBC's and some minor record keeping of the boys you counsel. If you are interested, contact our advancement chair, B.Bulk, for information and to get/submit an application. List of Merit Badges:	These are just a few of the resources that can be found on line. check these or Google for more.